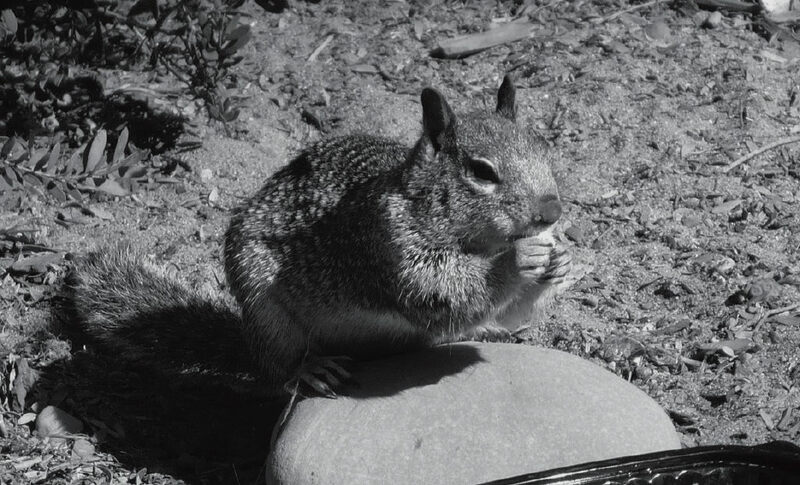 CHEESE, PLEASE—Ida Clark of Thousand Oaks captured this tidy fellow cleaning his dish after finishing Clark’s lunch during a recent visit to McGrath State Beach just south of Ventura. “I had eaten half of my Greek wrap and decided to share it with a persistent squirrel,” Clark said. “I figured he or she would take one sniff of the feta cheese and say, ‘No thanks.’ Instead, the hungry fellow polished it off.